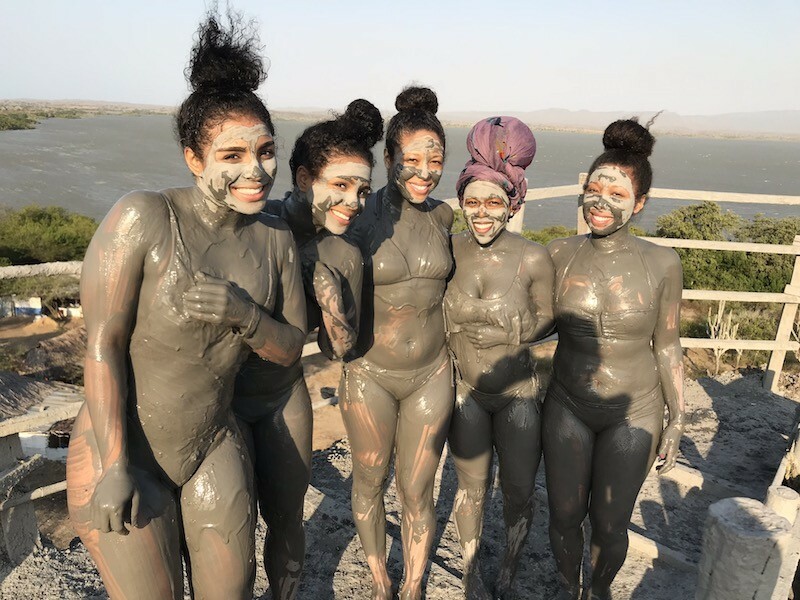 We visited Colombia and took a volcanic mud bath in El Totumo Mud Volcano, right outside of Cartagena! This was so much fun, truly one of the best day trips from Cartagena. Have you ever stepped foot inside of a volcano? 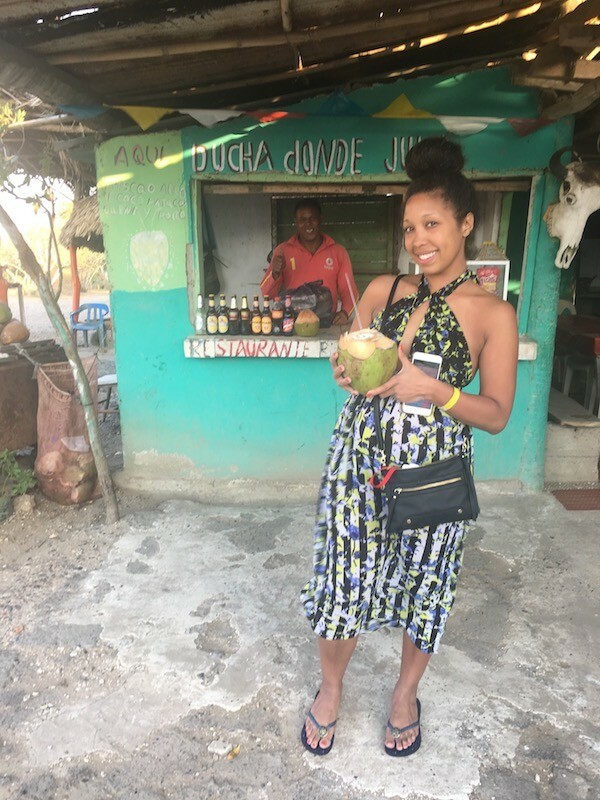 I recently went of a girls trip to Colombia and enjoyed my time spent in Cartagena. 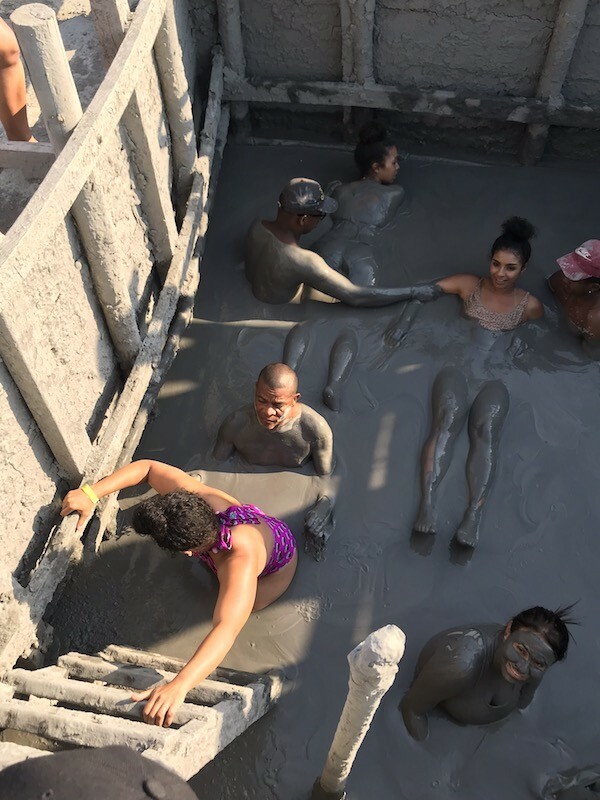 We are a slightly adventurous crew, so we thought that the Volcan del Totumo tour, or the El Totumo mud volcano bath right outside of Cartagena would be perfect. I have been in a mud bath before, but never in my life have I been in naturally occurring mud bath inside of a volcano! This experience is very unique, unlike any other that I have had. 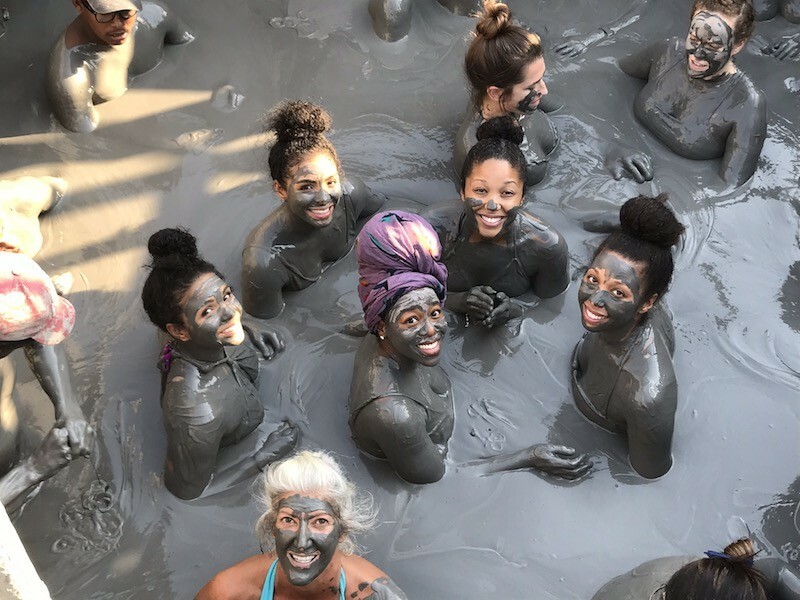 Plan to visit El Totumo Mud Volcano in Cartagena, Colombia and immerse yourself into a volcanic mud bath. Climbing up a giant staircase and immersing ourselves into a thick, warm mud bath was, well, interesting. There were tour guides in the mud ready to help us settle in, offered a mud massage if we wanted, and move us around the mud and slathered it all over us. At first, it was a little scary to think about getting in because you can’t feel the ground or anything beneath once you stick your feet in. Once we did settle in to the oozing mud, we could feel that we were floating! This is because the volcanic mud is so thick and dense, you literally float and bounce like a little life raft. Here I am getting into El Totumo mud bath, the stairs were slippery and caution was exercised. I volunteered to go first, yet despite the smile, I was a little wary! As more and more people get into the volcanic mud bath, we are shifted around like weightless astronauts in space. This is starting to get really cool! We are encouraged to put mud all over the place, our backs, shoulders, and even faces. So we did! After about 20 minutes, we got out of the volcano by climbing another slippery ladder and quickly dried at the top of the hill. It was time to head to the lagoon and wash off all of the mud! 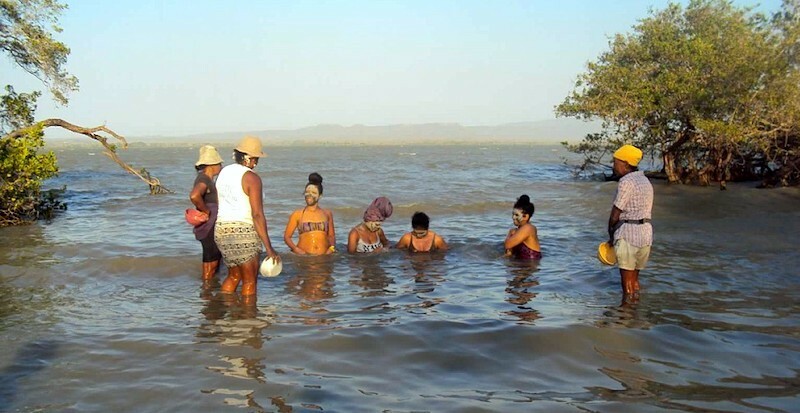 El Totumo mud bath is one of the best day trips from Cartagena! This is such a cool mud volcano in Colombia, you have to make the trip when you visit! 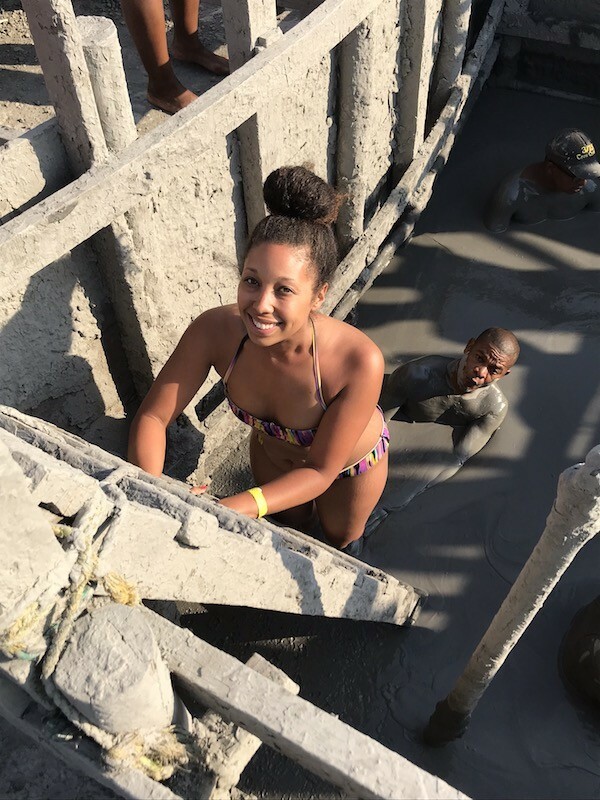 We took our Cartagena mud volcano tour with Backpackers booked through Trip Advisor, they picked us up at our hotel and drove us about 30-40 minutes to El Totumo mud volcano. The guides spoke English and were very helpful and accommodating, they have a little locker and changing room set up and restrooms and a fresh piece of fruit are included. Make sure you bring an old swimsuit that you don’t mind it getting messy, and a towel, as they did not have any on site. Also, you can attempt to take photos yourself if you want to risk ruining your camera, or pay a small fee of pesos to have someone do it for you while you bask in the sheer existence of a volcano. After we finished, I indulged in a little cold coconut water, a very refreshing treat. There is a little shop where you can buy beer, soda, chips, and light eats. 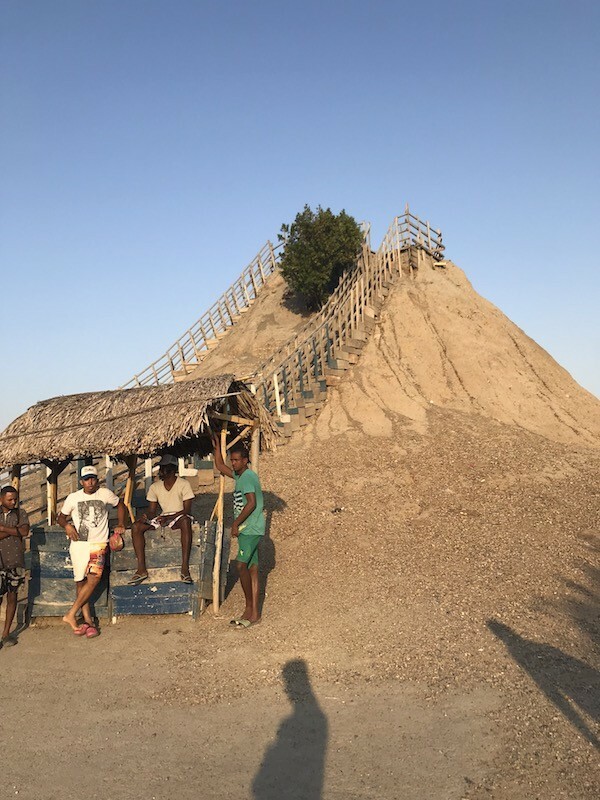 Book your El Totumo mud volcano Cartagena tour. You won’t regret it!